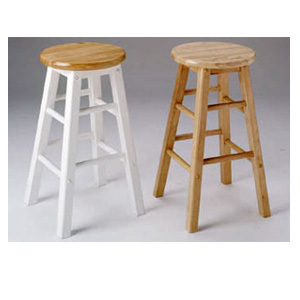 Set Of Two Solid Wood Bar Stool. Available In All Natural And Natural/White Finish. Strong COnstruction. Easy To Assemble.